It may keep our healthy fro-yo frozen, our fibre-rich lunchtime salads crisp and our skinny milk alternatives fresh, but the fridge – and the cold – isn’t always the best solution. 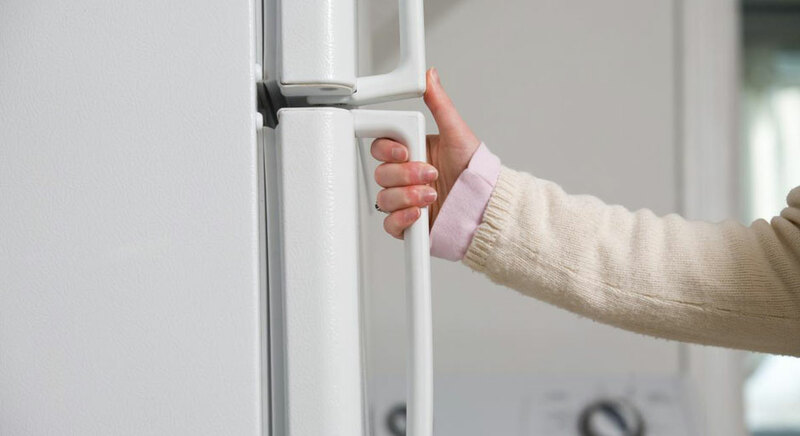 When it comes to our food, refrigeration isn’t the best option for many commonly chilled food stuffs, and when it comes to shedding unwanted fat, fat freezing systems aren’t always the best fat reduction option. If you’ve been making the effort to eat fewer naughty snacks and work towards a healthier, sustainable diet, you’ll know that making sure everything tastes great is a big part of committing to your dietary lifestyle change. If you’re the kind of person who craves a crunchy-topped, oozy macaroni cheese on chilly evenings, or a sneaky chocolate or three in front of the telly after a long hand day, ensuring the healthy alternatives taste just as good goes a long way towards helping you switch to better, more balanced eating habits – permanently. Did you know that refrigerating sweet potatoes can actually trigger them to increase weight gain? That’s because when you chill the starch in sweet potatoes, it breaks down into sugars. This doesn’t just make refrigerated sweet potatoes less healthy, it also adversely impacts their taste and texture – yuck! We all know that tomatoes taste better fresh and perfectly ripe – ideally still warm from an Italian vine! Refrigerating them makes they lose their lovely taste and texture, making them flavourless and mushy. Don’t you hate that furry-tounged feeling when you eat an unripe banana? Tasteless and hard, with a weird fluffy mouth-feel unripe bananas are no fun to eat, which is why you should never refrigerated this fruit. Chilling bananas can permanently halt the ripening process which makes them so tasty. “How’d you like them apples?”. If your answer is “refreshingly cold and crunchy”, you should pop them in the fridge 30 minutes prior to eating and not a minute sooner. Too much refrigeration will purge the fruit of its flavour and make its texture unpleasantly woolly. Just like bananas, putting avos in the fridge halts their (already far too lengthy!) ripening process. Leave them at room temperature if you want them to get deliciously soft as soon as possible. Storing onions in the fridge can make these vegetables go mushy, and give your fridge (and its contents) an unpleasant oniony aroma. Keep them in a paper bag in a cool, dark place instead to extend their lifespan. You may think that your fridge or freezer are the correct places to keep your coffee beans or grounds, but you are mistaken! The delicious natural oils which make coffee so pleasingly pungent and flavourful need to be at room temperature to really do their thing, refrigeration stops this process, reducing the flavour of your coffee. Just like all of these ingredients, cold treatment may not be the best solution for your unwanted fat. Instead of fat freezing treatments, many people are now discovering the impressive potential results of Xero Lipo, which uses non-invasive, painless lasers to safely break down fat stored in cells, before boosting the body’s ability to healthily metabolise it. Delivered in two fast weekly sessions over the course of four weeks, Xero Lipo treatment is also supplemented by great dietary advice and personalised guidance from leading nutritionists, all accessible online via your Xero Lipo customer portal.